The Group of GPs which plans and buys healthcare services in our area have formally invited groups to tender to provide community heath services locally. Community heath services includes things such as district nursing, diagnostics services, intermediate care beds and the minor injuries unit at Crowborough Hospital. The services are currently provided by East Sussex Heathcare Trust (ESHT) who also run the midwife-led birthing centre at Crowborough Hospital. The commissioning and contractual process is complex. In order to have discussions with ESHT and other potential providers around new ways of delivering community services in the future, the CCG served notice on the existing contract back in March. Since then the High Weald Lewes Havens Clinical Commissioning Group (CCG) has spoken at length with a wide range of local stakeholders including staff and patients. Having reviewed a wide range of information gathered from these conversations, the CCG has decided to commence a formal procurement process in order to commission services that better meet the needs of local people. This process will begin shortly and a new contract for community services is expected to go live in Autumn 2015. Community services play a key role in keeping patients healthy, enabling people to be treated in their own homes and preventing them from having to be admitted to hospital. We are committed to commissioning a full and vibrant range of community health services that meet the specific needs and geography of local people. We took the decision in March 2014 to serve notice on East Sussex Healthcare NHS Trust who currently provide these services so we could begin conversations with a wide range of stakeholders about how we could transform community services and consider new ways of meeting the needs of local people. Since this time we have spoken extensively to staff, patients and prospective providers. Having the reviewed the information we have gathered from these conversations, we do not believe we can achieve the scale of ambition for local community based health provision within the context of our existing contract. Together with local GPs we have agreed to re-procure these services and will be looking to begin a robust and transparent process shortly. As the current provider of these services we will continue to work with High Weald Lewes Havens Clinical Commission Group through the commissioning process. The provision of community services remains a pivotal part of our strategy for the Trust and we are confident that the quality of services currently provided will stand us in good stead as we work with the CCG over the next few months. Patients and the local community should be reassured that we will work closely with the CCG throughout this process to continue put the needs of patients and their families first. Recently a Freedom of Information Request revealed that the Minor Injuries Unit at Crowborough Hospital was closed 61 times in the past year, including 8 times in August alone. East Sussex Heathcare NHS Trust said all the closures were due to staff sickness absence, and they had no choice but to close the Unit for safety reasons. At the Crowborough Town Council meeting on 16th September, the CCG’s interim Chief Operating Officer Alan Streets said they were having talks with both ESHT and Maidstone and Tunbridge Wells NHS Trust about operating the Minor Injuries Unit and Crowborough Birthing Centre in the future. 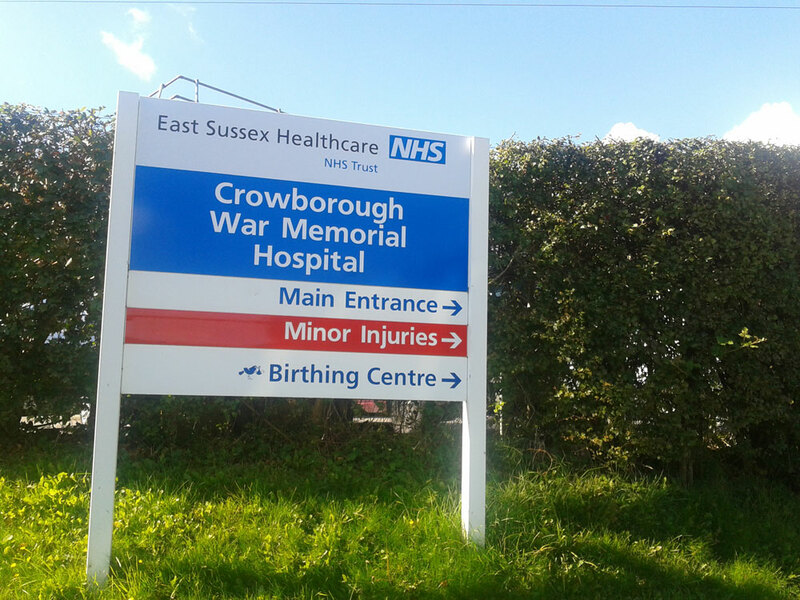 The Friends of Crowborough Hospital are pleased that the CCG is being pro-active in working towards a long-term solution to the birthing centre and minor injuries. The Friends support the long term certainty and viability of these two much needed services and look forward to working with the CCG to achieve them. The staff in both services have had to work under very difficult circumstances and we hope that the move to a new provider will improve things for them. This is not a decision we have taken lightly but due to the feedback we have heard from patients and other stakeholders, believe it is the only way we can ensure services are meeting the needs of local people both now and in the future. As local clinicians we want community services to work together so that patients receive seamless health care and treatment that is designed around their individual needs and the three community hospitals in Crowborough, Lewes and Uckfield remain at the heart of our plans to improve patient care and experience. We are committed to working openly and transparently with all our stakeholders throughout this process to ensure we meet the needs of local people. The High Weald Lewes Havens Clinical Commissioning Group hold their AGM in Uckfield tomorrow (Wednesday 15th October) if you want to find out more about the future of local health services.